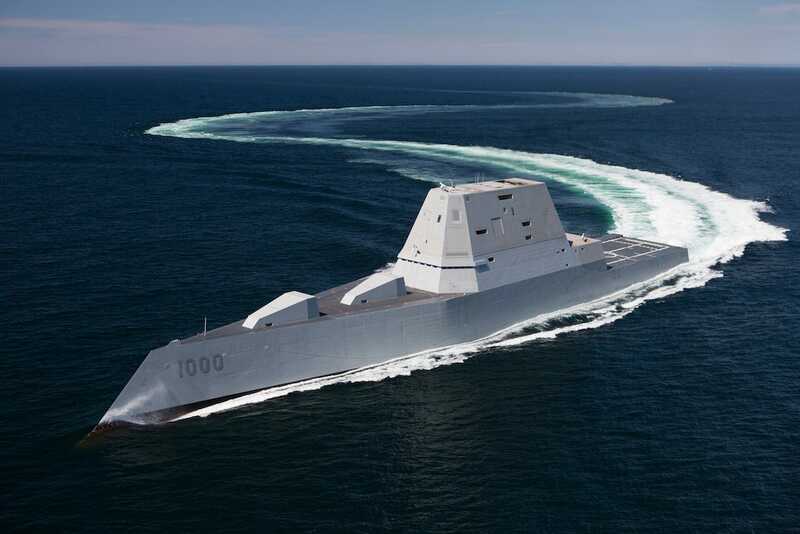 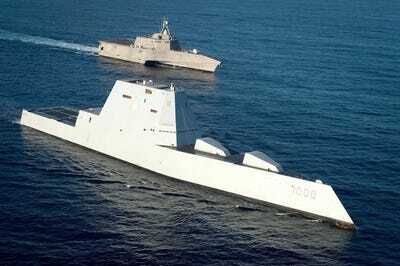 Jeff Head/FlickrThe first Zumwalt-class destroyer, USS Zumwalt, DDG-1000, in the North Atlantic on Dec. 7, 2015. Type 055 is also equipped with an H/PJ-38 130 mm main gun on the bow, and H/PJ-11 and HHQ-10 close-in weapons systems for last minute defence. 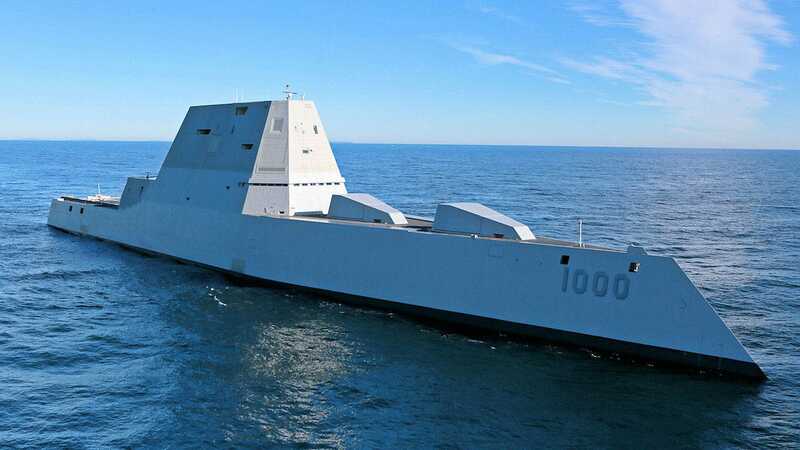 US NavyUSS Zumwalt transits the Atlantic Ocean during acceptance trials on April 21, 2016. 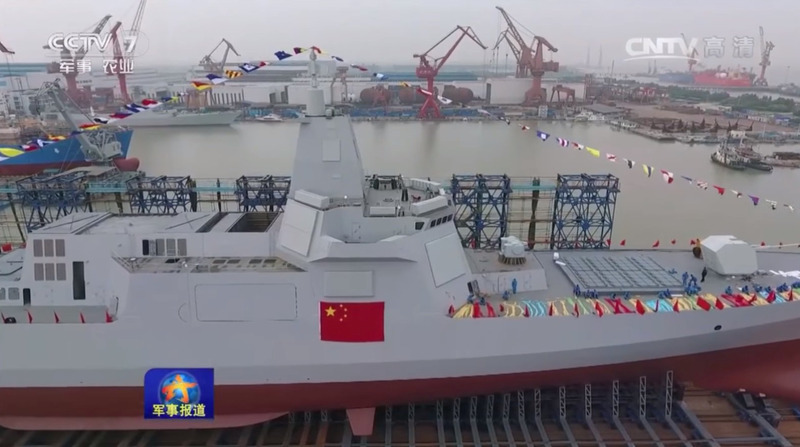 It’s also equipped with two 155 mm Advanced Gun Systems on the bow, and two Mark 46 close-in guns which fire 30 mm rounds. 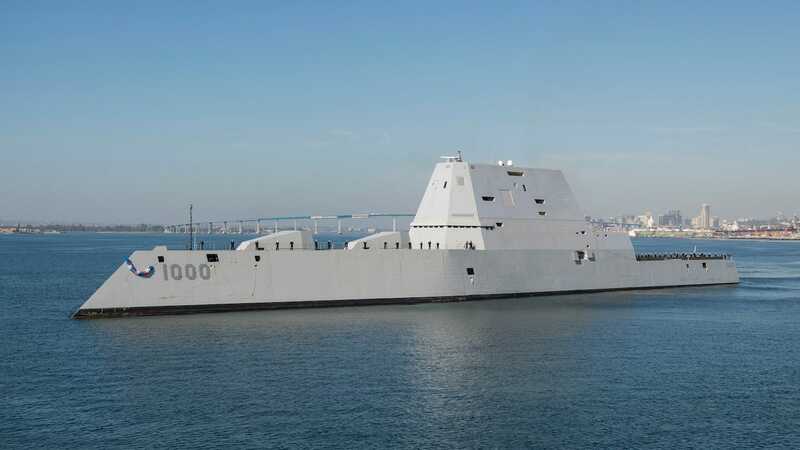 Rounds for the AGS are so expensive, about $US1 million apiece, that the Navy doesn’t have any and has no plans to buy them, rendering the deck guns effectively out of service. 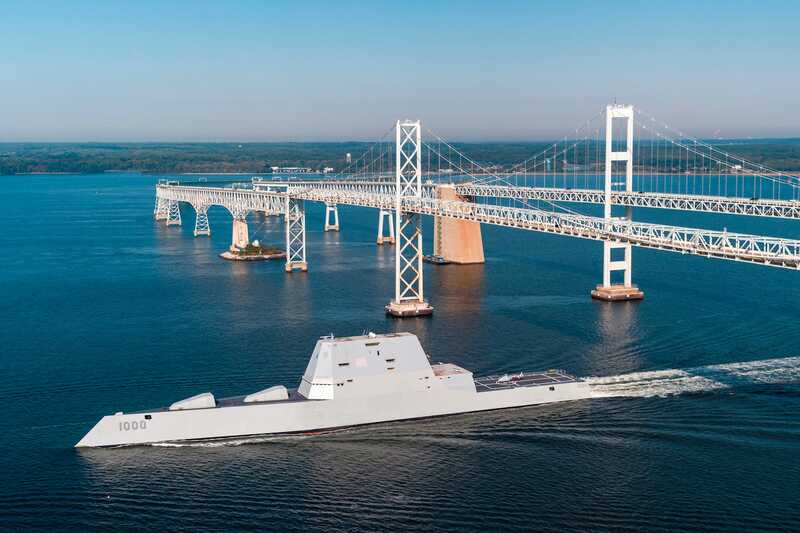 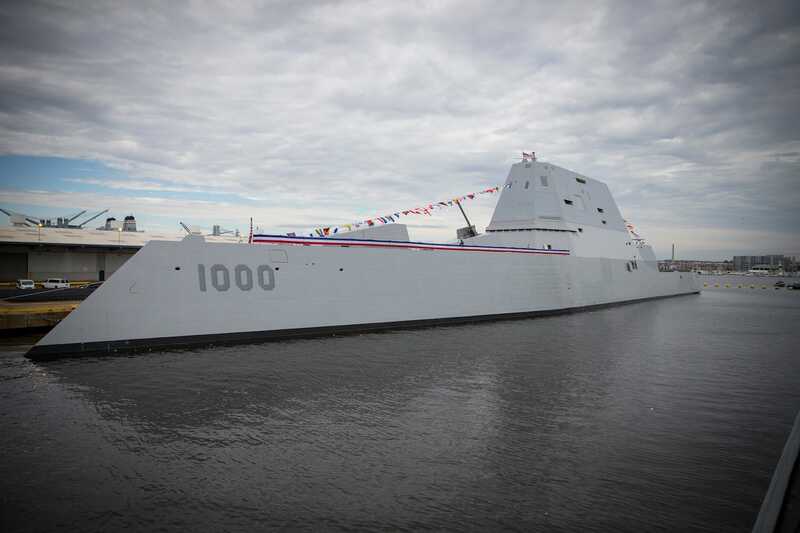 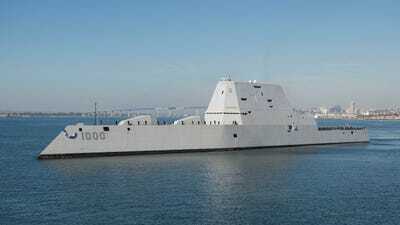 US NavyThe Zumwalt sails alonside a Littoral Combat Ship. 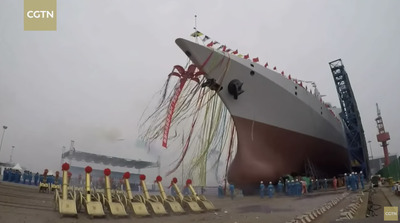 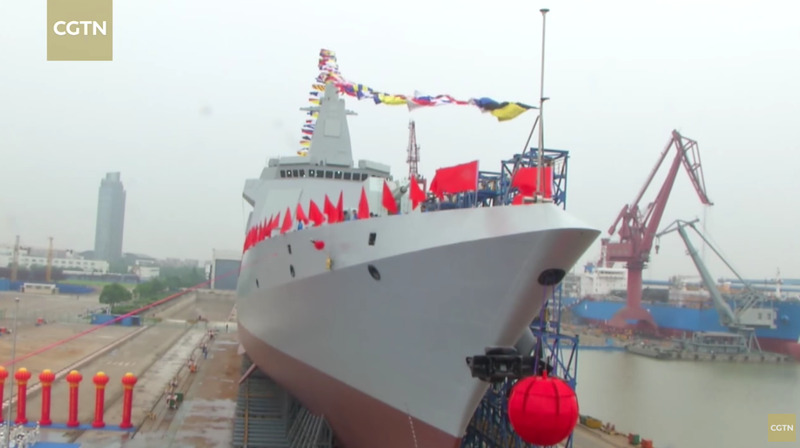 Type 055 destroyers will focus more on air defence, anti-submarine missions and protecting carriers, which is why they have more VLS cells and a longer range than the Zumwalt. 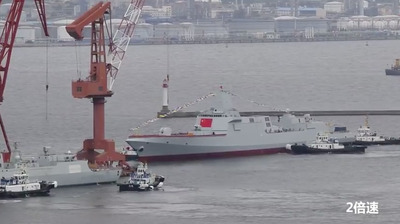 These mission sets, along with its large size, are why the US has even classified the Type 055 as a cruiser.